Although Chipotle finally started serving queso this month after years of requests from customers, it looks like you may be in for some disappointment if you're a fan of the chain's chorizo. On Monday, the burrito empire confirmed plans to cut the spicy chicken and pork meat combo from its menu less than a year after rolling it out nationwide. The announcement shouldn't inspire grief, though, as chorizo was reportedly among the least popular meats on the menu, and was deemed as somewhat bland in early reviews. Chipotle spokesman Chris Arnold confirmed the decision to stop serving chorizo and said the company sees a more lucrative path in its new queso dip, which made a splashy nationwide debut on September 12. "When we decided to move forward with the national rollout of queso, we opted to replace chorizo on the line with queso, so chorizo is going away," Arnold said in a statement, according to a report by CNBC. "While we really liked the chorizo (and many customers did too), the efficiency of our model has always been rooted in part, in doing just a few things so we can do them really well." The demise of chorizo was apparently pretty imminent, according to BTIG analyst Peter Saleh, who last month predicted the protein dish would eventually make way for newer, flashier new menu items. Chorizo, which Chipotle had hoped would help lure back shaky customers after a series of E. coli outbreaks tarnished the brand's reputation, only accounted for a languid 3% of protein sales during its short-lived run on the menu, according to Saleh's research. While it might sound like a smart strategy to oust chorizo in favor of the much-hyped queso, the move might prove costly in the end. Queso has not been warmly received since its arrival, as it basically left a uniformly negative impression on customers who've tried the dish. One vexed Twitter user even called it a "crime against cheese." 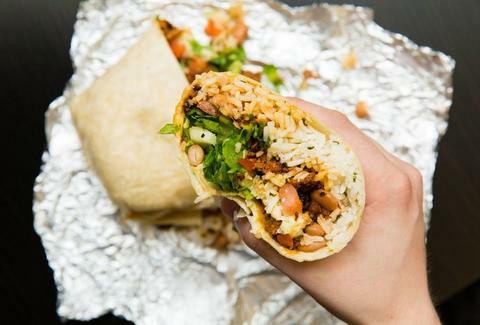 Chipotle's menu, which doesn't expand on a frequent basis, seems to be treading in uncertain waters. But then again, it's probably nothing a free burrito giveaway can't fix.